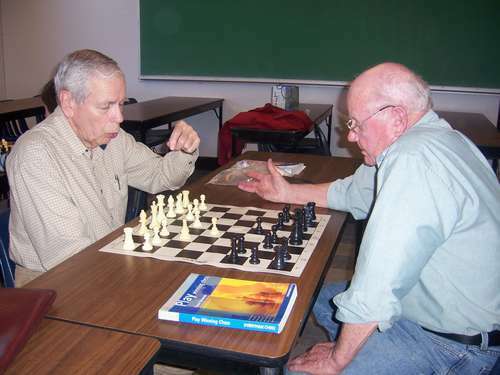 05.29.07 For the fourth consecutive year, the Osher Lifelong Learning Institute (OLLI) at the University of Southern Maine, Portland has offered Chess for Seniors during the spring semester, a class taught by retired principal, Frank Smith and retired psychiatrist, Jon Malev. The class is geared as an indroduction to the game for new players and as a refresher for those who have played and are now looking to get back over the board. 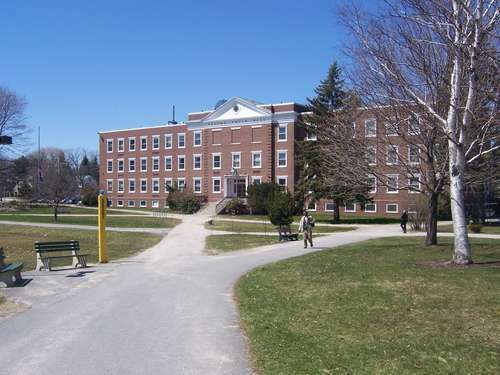 This spring semester's class met for two hours a week in Payson Smith Hall 206 at the University of Southern Maine, Portland. 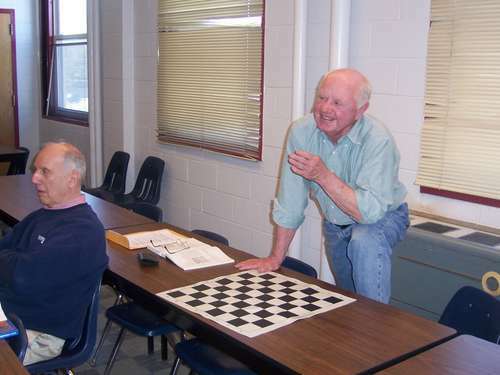 Osher students are 50 or older who wish to continue learning for the sheer fun of it. 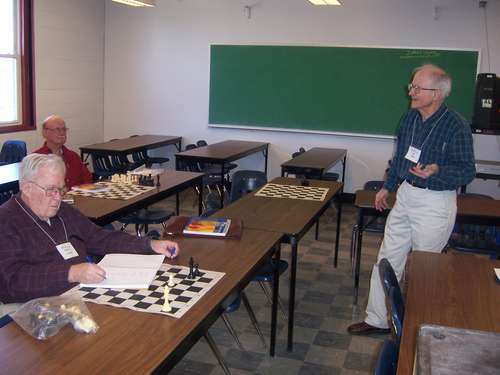 The chess class is a combination of lecture, small group and one-on-one instruction with friendly match play among class members as well as with students from a nearby elementary school chess club. Typical were training games where instruction was provided during the game, followed by a game under conditions more closely resembling tournamenmt play. Some of the students had previous chess experience while others were new to the game but all enjoyed the chellenges of taking their skills to the next level. The texbook for this class was Play Winning Chess by Yasser Seirawan. 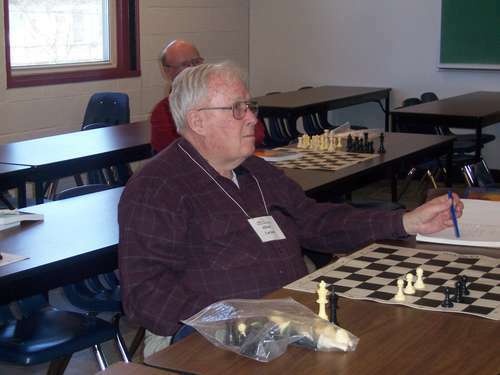 To visit the Osher Lifelong Learning Institute online for more information about the Chess for Seniors class as well as other classes please click here. Jon Malev elucidating a point on King and pawn endgames. Jon keeping it fun, light and entertaining. 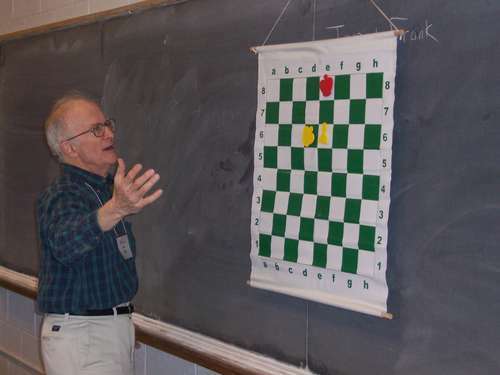 Instructor Frank Smith leads a lively discussion on an endgame position. 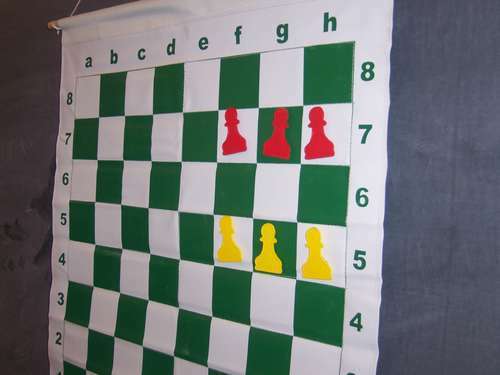 Do you know how this tricky little endgame puzzle should turn out with White to move? 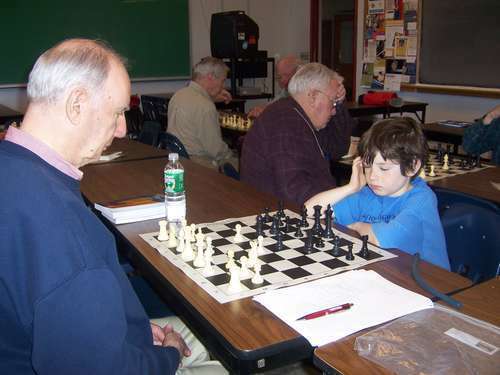 Generation Match: Allen Sweet (left) plays Max DeLuca. Frank Smith (right) discusses an opening variation with OLLI student Tom Cartier.